Add another tally to the tally board of things DICE delays for the PC. 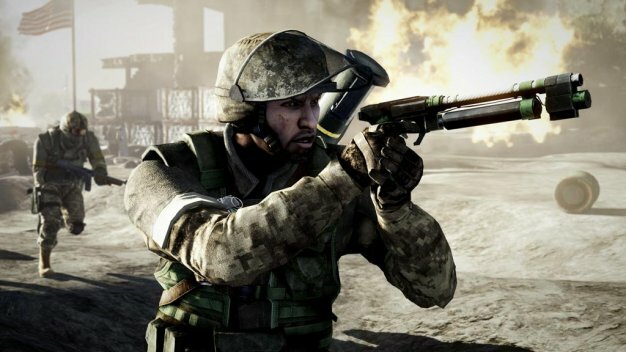 First it was the delay of Battlefield: 1943 to 2010, and now the delay of the recently announced Battlefield: Bad Company 2 beta. Following concerns from the community of the PC beta being canceled altogether, the game’s official blog has clarified that there’s simply been a delay in order to expand it so more people could participate when it launches. Fortunately it seems that the delay isn’t going to affect the official March release date. The good news is that the PC version will have enhanced features over its console counterparts which make the delay easier to swallow — 32-player maps, dedicated servers, DirectX 11 support and support for nVidia’s 3D vision to name a few. Worth. It.